Fractal Design introduces the Meshify C ATX chassis featuring unparalleled cooling sporting an angular mesh front panel with a defiant look. 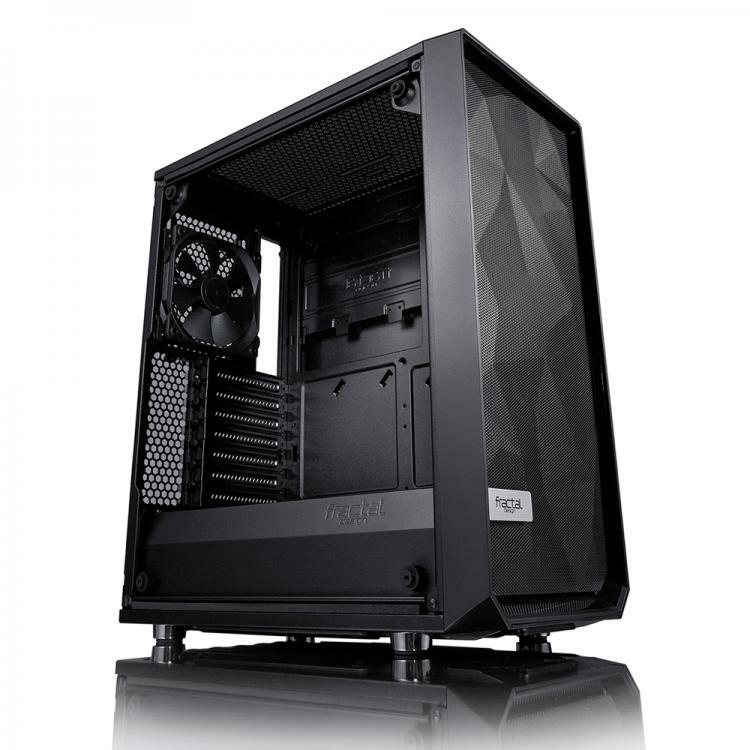 The case is littered with black diamond facets and the large-area mesh design in the front of the chassis offers high-airflow intake configurations. 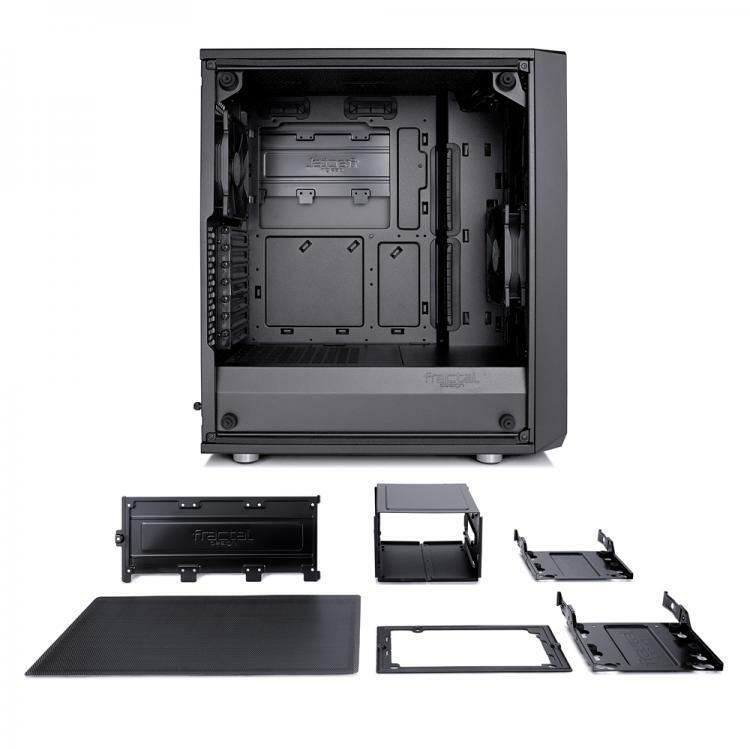 To provide a classy look, a side panel features a tempered glass window with a distinctive tint for a stealthy look with its black-on-black aesthetics. 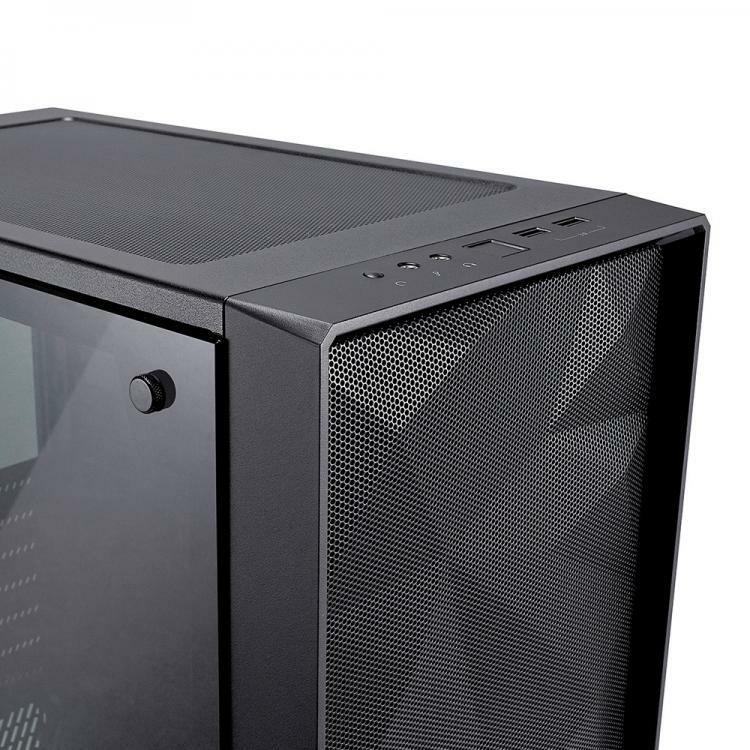 The Meshify C also features an unrestricted front space for direct airflow from the front panel cooling fans to the hardware chamber inside. 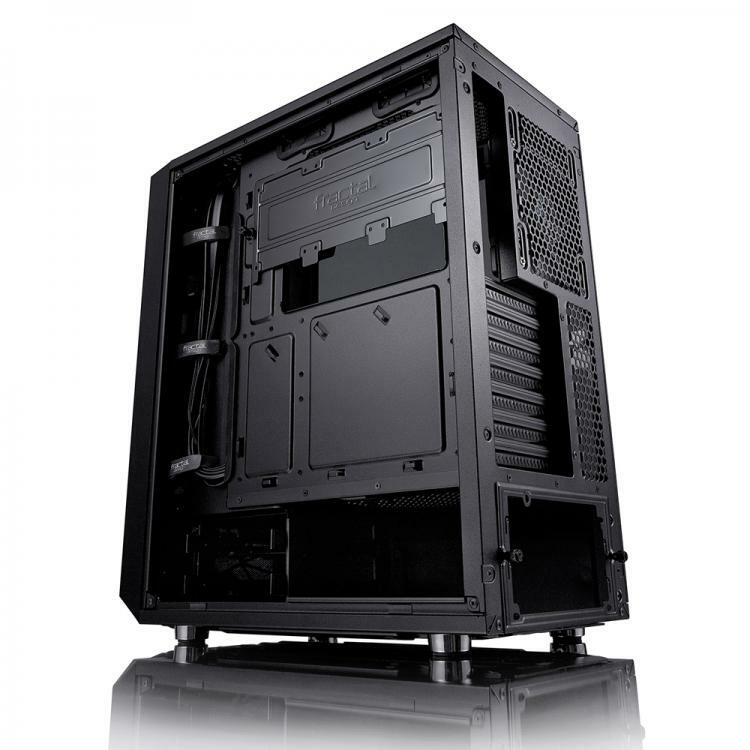 The case has seven fan mounting areas and support for multiple-radiator water cooling setups.